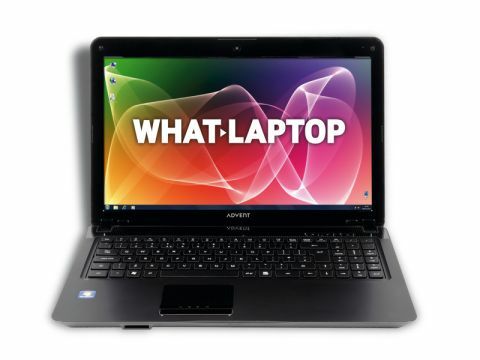 Advent is PC World's in-house brand and provides a wide range of affordable laptops built around the latest technology. The Advent Sienna 700 is a well-priced Intel Core i7 laptop but, unfortunately falls too far short when compared to its rivals. Built around a dual-core Intel Core i7 620M processor running at 2.66GHz we expected stunning performance. Unlike the Sony VAIO VPC-Z12V9E/X, however, the Advent failed to deliver in initial benchmark tests, forcing us to undertake supplementary testing. This revealed far more capable power. With the CPU's two cores running four threads thanks to Intel's Hyper-Threading technology, the chip is ideal for the most demanding multi-tasking, letting you easily run multiple applications with speed. Due to its low price, graphics are inevitably less capable, so don't expect much gaming power. The integrated Intel GMA HD graphics card delivers enough performance for watching high-definition (HD) video and editing photos and home movies, however. With HDMI and VGA ports in place, it is easy to connect to an HDTV, PC monitor or projector, but the Advent's own 15.6-inch Super-TFT screen is stunning. While it lacks a Full HD resolution, images are top-notch. Where this machine is noticeably bettered by its rivals is in the overall quality of its design. While the combination of glossy and matt plastics add a suitably stylish look, the chassis feels quite cheaply made and lacks the resilience and high-quality feel of some other machines. Nevertheless, the isolation-style keyboard is great to type on. While the typing action is firm and the keys rattle slightly, we noticed no typing errors when working for long periods. A dedicated numeric keypad is also in place. While it lacks the mobility of the ultraportable Sony, the 2.5kg chassis is light enough to carry on a semi-regular basis. The truly awful 118-minute battery life eliminates any thoughts of long-term travel use, however, making this a machine that is best used at home. Finally, due to its low price, this laptop is sold with no pre-installed software. Although this means you won't be burdened with tools you don't need, you'll need to factor in the extra cost of internet security and home office tools when buying this machine. At such a low price and with its stunning screen, the Sienna 700 is an affordable and usable way to enjoy Intel's Core i7 technology. Its limited features and poor build make it tough to recommend against its rivals, however, so make sure you try before you buy.